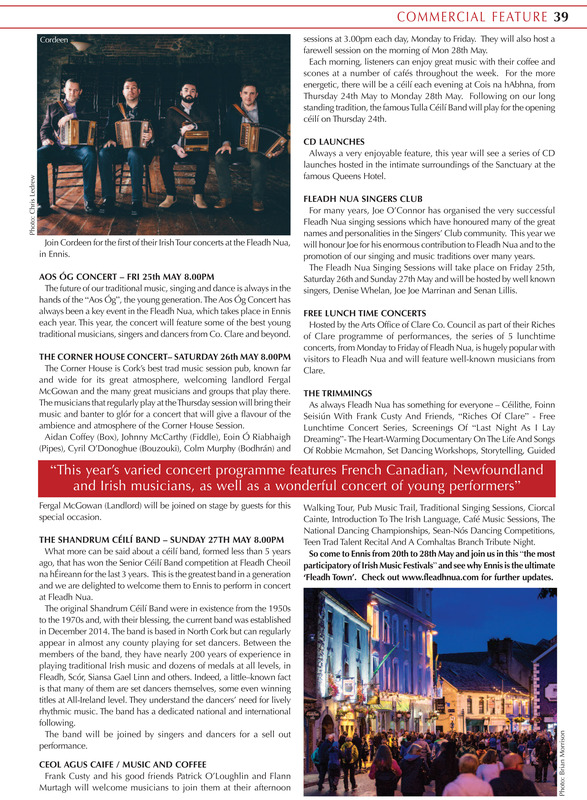 Ní fada anois go mbeidh Fleadh Nua faoi lán tseoil in Inis Co. an Chláir ó 20 go dtí 28 Bealtaine, 2018. Gheobhaidh tú blas den chlár cuimsitheach ón alt atá ceangailte le seo. 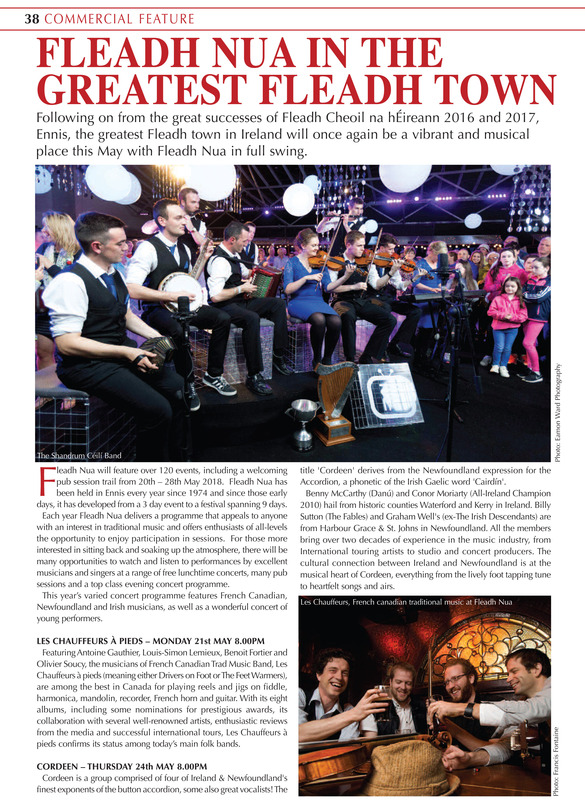 Féach ar www.fleadhnua.com le haghaidh tuilleadh eolais. It won't be long now before Fleadh Nua gets under way in Ennis, Co. Clare from 20th to 28th May, 2018. Savour the comprehensive programme from the attached article. See www.fleadhnua.com for further information.